Who doesn’t love playtimes? That’s right, no one! We love our play times and play dates. Theses are the little precious moments in the day where we can all be a little carefree and have some fun. Our play dates can consist of playing family games indoors when the weather is bad or playing in the garden when we get those even more precious sunny days! Either way, are play dates involve lots of laughing, messing about and probably a few tickle sessions thrown in! We like mixing up our play dates, nothing is ever normal in our house. E.g indoor wheelbarrow races, wheelbarrow sessions up the stairs (yes, don’t ask me why I allow it! ), indoor basketball etc. You can see we like to be as crazy inside as we are outside. 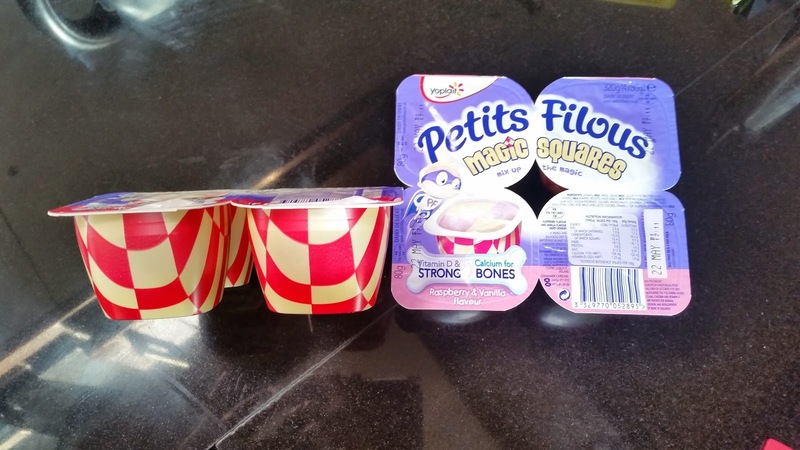 When we were asked to take up the #MagicSquaresPlaydates challenge by Petits Filous, we thought, who better to demonstrate how to mix it up than our crazy kids! The packaging gives you an indication of what you may see inside the pot. The criss-cross design illustrates the two different flavours within each pot (vanilla being the yellow flavour and red being the strawberry/raspberry flavour). Once opened, you can see the yogurt looks very similar to the traditional petits filous. So children won’t be discouraged to eat it. Although, when I tried one of the pots I was pleasantly surprised at how tasty it was. It really felt like an adult dessert. Smooth and creamy, with a hint of a mousse like feel to it. Basically, it didn’t taste like a normal yogurt. I’m not sure whether that was to do with the actually recipe or maybe it was because of the combination of the two flavours. It also didn’t dry out the mouth like other yogurts or fromage frais. My children were thrilled when they saw the pots. Their eyes lit up, and there were plenty of gasps when the lids where taken off. 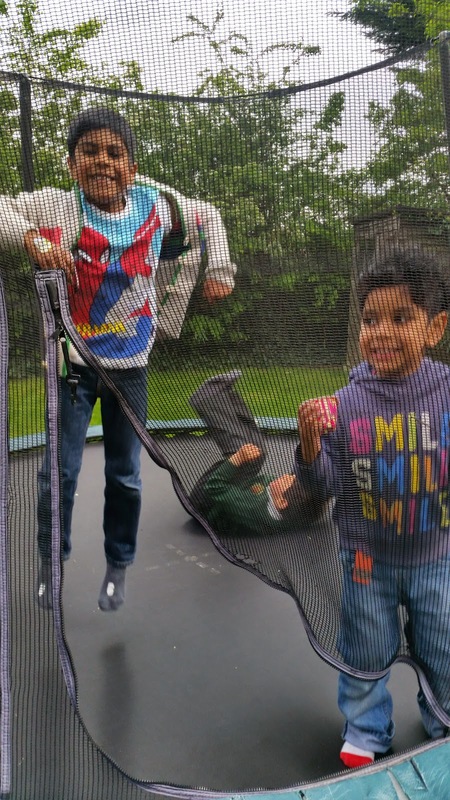 As I mentioned, we like to mix things up and we happened to be out on the trampoline whilst there were a few good hours of sunshine. We were actually going to play with the water pistols whilst jumping on the trampoline (it’s a game where if they don’t do the right sequence of jumps, turns and bounces they get sprayed by the water pistol!) It’s a hoot! 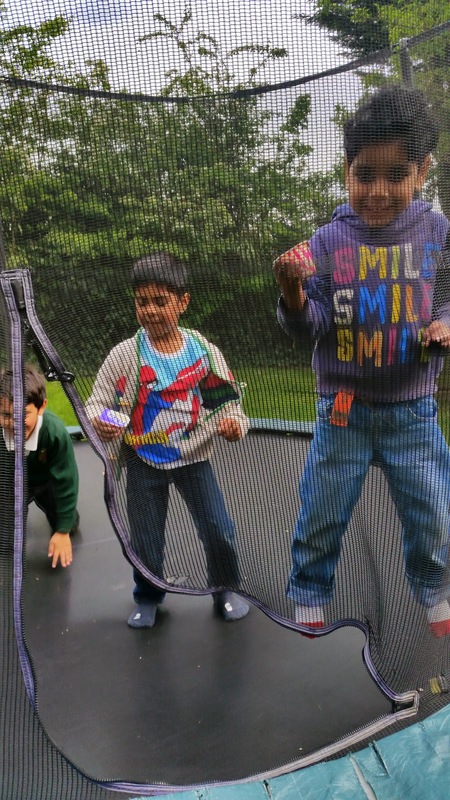 But, as we had the yogurts to taste we decided to get the Magic Squares out whilst they were on the trampoline. They were so excited. 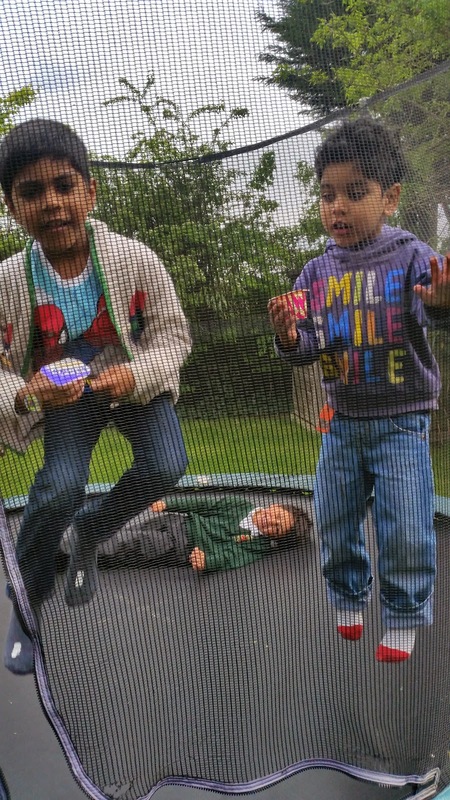 The game was to jump on the trampoline whilst trying to eat the Magic Squares. I was envisaging it to get super messy, but the yogurt must have been so tasty as they didn’t waste a drop of it whilst bouncing! The children loved the pots. 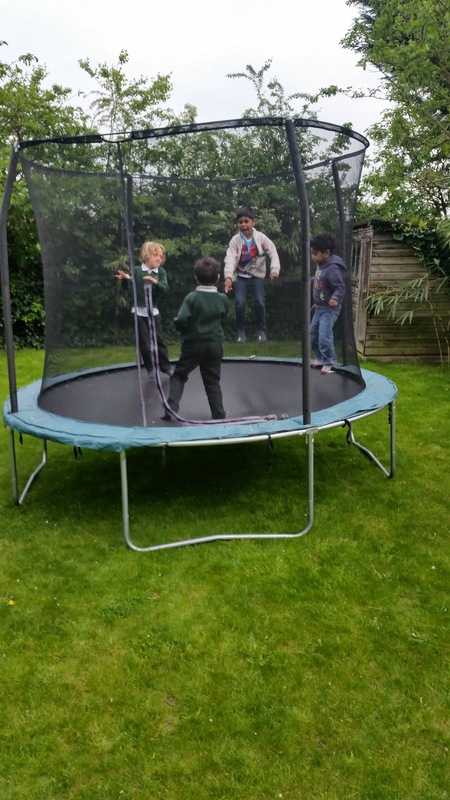 The shape is great as it means they can get a grip properly without dropping any (which is great if they are jumping on the trampoline (!) ). They loved the taste, even my youngest who generally doesn’t eat that much yogurt, polished the whole pot off! The pots are great, and have the usual goodness of Petits Filous and are a winner in our household, with the children as well as the adults! They are in all supermarkets and are a great price. RRP £2 for 4 pots, but at the moment there are offers in most large supermarkets.